I had to go back to the store for both. Then the FUN part happened......Fun as in. 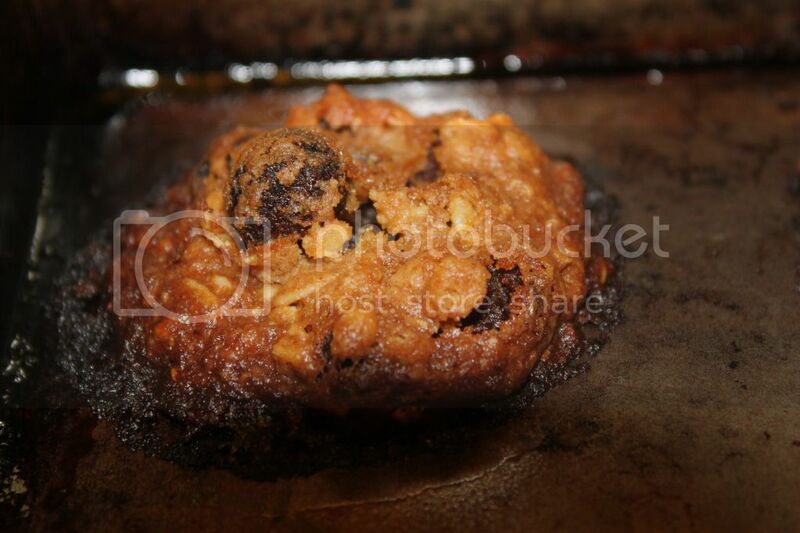 I set Greg's oven on fire TWICE!!! 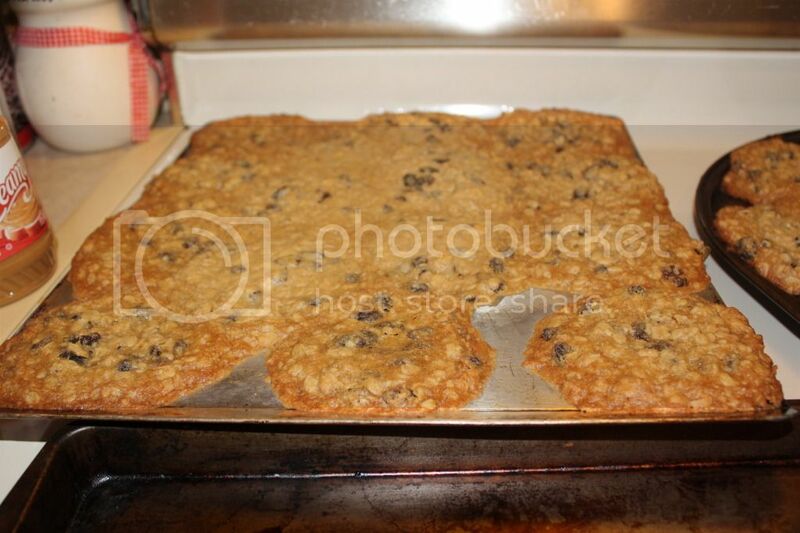 I also burnt 3 different pans of cookies. Here is a pic of attempt 1. Can you tell what I did wrong? This is attempt 3. Its just plain scary. I screamed and threw a fit and then went to Kroger and they had the cutest deli cookies in a 50 cookie variety pack with m&m's and other candies in it. I bought a few and gave up on trying to be Betty Crocker. I just can't cook. Its that obvious. Saturday was a band competition all day (except the brief time I stopped by Greg's bands practice wearing my Rowan County Band tee heheheh I felt so mean. But I love his kids they are great and such good sports they booed me :) but they know in 2 weeks I'll be sitting in the stands wearing their shirt. It really helps that they aren't in each other class. 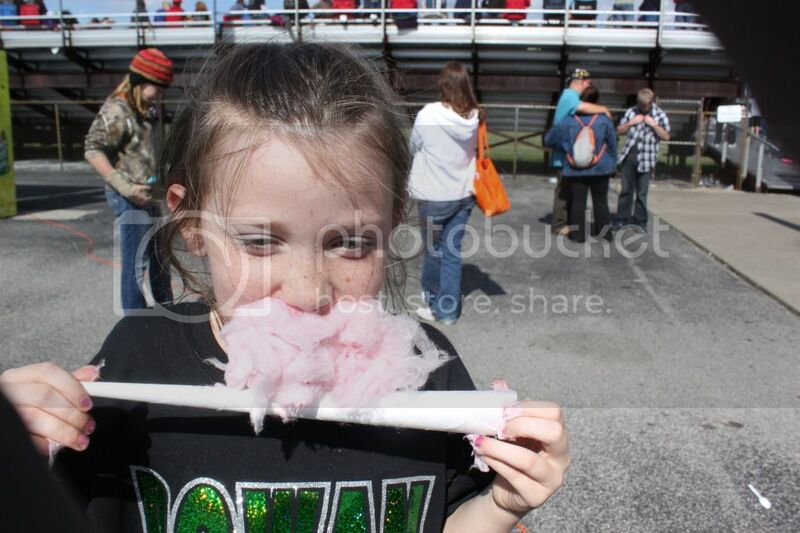 While Abbey was busy Em enjoyed mommy and Greg time (yes he wore the Green Rowan shirt, I love that he supports Abbey like he does) She talked us into cotton candy I wish I hadn't she was so restless the rest of the competition. But she really loved it. It was all inhaled in a few bites. 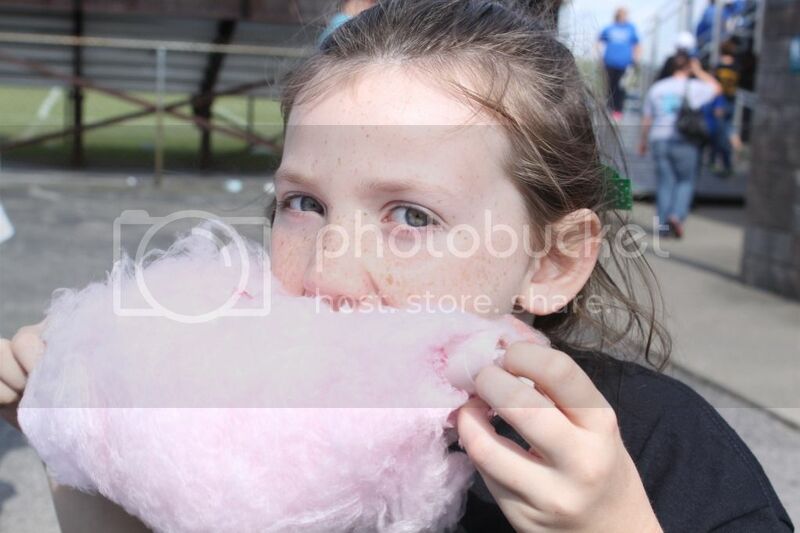 Greg was talking to a guy that was judging and when he turned around the candy was GONE :) Abbey's band did great. 1st in their class, best percussion and best guard. looking at the score they actually got 2nd place percussion over all. The band that beat them was AMAZING though...and they only beat us by 2 points. The next closest was 10 points behind us. Sunday I did get to sleep in and do nothing all day. Greg woke up with the girls and made us all bacon while I slept. I finally talked him into letting me build him a website for the band. Its still a work in progress but here is the link if you want to take a look and tell me what you think. I didn't have any pictures from this year and there is still information I don't have, that I need to get together. But over all that is the basic idea of the page. I'm pretty pleased with it. What do you think? What should I add or take away? Those are some sad, sad cookies girl! But it made my day to laugh at them :) Congrats to Abbey's band, that's so awesome for her. 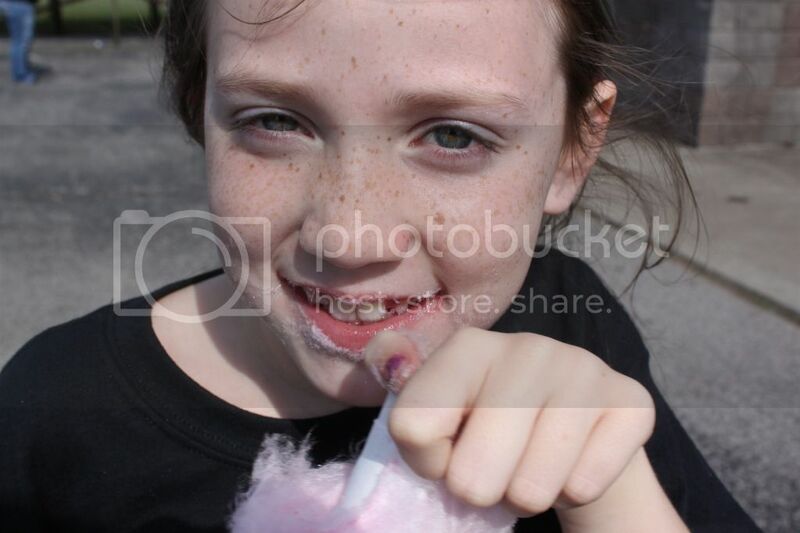 And Em with the face full of cotton candy is adorable - way to make progress on your take more photos goal! I like the band's page, definitely needs more photos though. I love photos :) And maybe some contact info for Greg? But I think you did a really nice job!